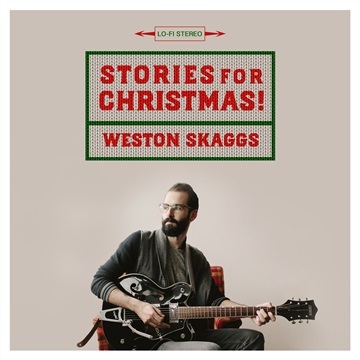 CHRISTMAS RESOURCE: Weston Skaggs – STORIES FOR CHRISTMAS! You are at:Home»Topics»Worship Leadership»CHRISTMAS RESOURCE: Weston Skaggs – STORIES FOR CHRISTMAS! Any who know me well are well aware that I’m not really a fan on most popular Christmas music, so I am always looking for something new to refresh my holiday spirit, & to add to my Christmas setlists at church. Not only have I found my holiday soundtrack for Christmas 2017, but a new corporate gem to boot. On top of that, it’s available to download FOR FREE! One part Beach Boys PET SOUNDS & one part early Dylan, Weston‘s Christmas album swims in much the same waters as Sufjan Stevens‘ SONGS FOR CHRISTMAS (another gem, if you don’t already own it). As any great album, it may take a couple listens to “get it“, but it’s chock full of gentle gems. For the worship pastor – like myself – “Prepare Him Room” stands out as both potentially congregational & engaging, & is worth consideration (chord chart available HERE). If you’re like me & you’re tired of the same old, this is the project for you, & you can’t beat the price! Highly recommended! FREE DOWNLOAD: Stories for Christmas!